It’s a long way from Houston, Texas to Trenton, Ontario, Canada. By the grace of modern technology, fans of thoughtful lyrics and rich melodies can enjoy two strikingly beautiful albums released within the last week from both locales. One is an EP of introspective, piano-driven independent pop music from a rising talent; the other is a highly anticipated full-length debut from siblings who were part of a platinum-selling county act. Both albums are marked by poignancy and passion. Music connects people across physical and figurative boundaries. A particular note or phrase can strike someone at the right moment and stir emotions he may have believed (or hoped) to be dormant. At their best, musicians transform life’s common threads into stories to which listeners relate, analyze, and treasure. Such is the case with the new records from Lovelast and Small Town Pistols. Lovelast is the result of a longtime collaboration between singer-songwriter Chase Jenkins and co-producer Derrick Huang. After years of playing in other bands, Jenkins decided to set out on his own. The songs he accumulated over the years became his 2011 full-length debut December. 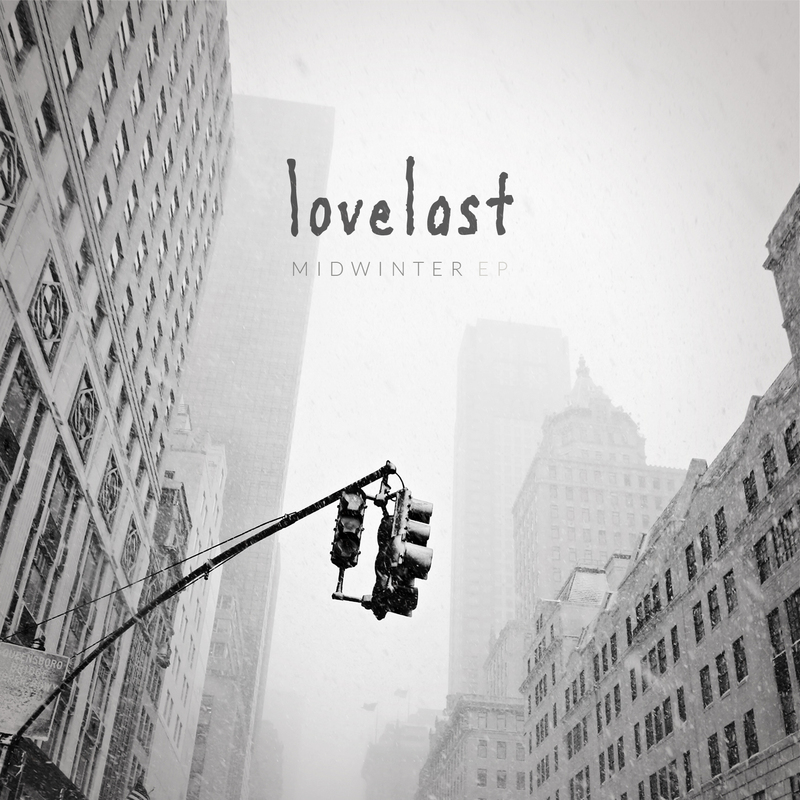 His follow-up EP Midwinter features three new compositions and three re-worked versions of songs from December, providing listeners a rewarding introduction to Jenkins’ songwriting skill. Midwinter effectively taps into feelings of loneliness and longing without being over-the-top or mawkish. Jenkins and Huang deserve kudos for their restraint. They manage to create a recording that sounds polished, but not overproduced. The album’s stirring instrumentation memorably contrasts with Jenkins’ bare portraits of relationships that frequently examine how pairs cope when their love has grown cold. Among the new songs on Midwinter, the immediate standouts are two back-to-back songs: the haunting “Our Winter” and “Wait,” a slow-boiling ballad that could thaw quite a few icy hearts. “Our Winter” documents the dissolution of a three-year relationship that’s been “battered by time/ridden with fear/[and] infested with lies.” The narrator’s fervent plea to rebuild an emotional connection disappears in the bleak winter weather as he acknowledges the couple is trapped in its reveries and “dreams of other lives.” His realization that the duo is past the point of repair is quietly affecting and provides an interesting counterpoint to the tale of dogged devotion that follows it. Jenkins delivers his most impassioned vocal on “Wait,” a gentle whisper that dramatically crescendos into a roar. Treading the line between romance and obsession (“In my grave I’ll lie/Till your love I’ve found/To your heart I’m bound”), “Wait” brims with intensity. If ever a song demanded a television/movie placement, this one does. As part of the award-winning country trio the Wilkinsons alongside their father Steve, Amanda and Tyler Wilkinson charted hits in Canada and the United States in the late 90s and early 2000s. Amanda released a self-titled solo album in 2005 and Tyler fronted rock band Motion Picture Ending. By the late 2000s the Willkinsons disbanded, but the siblings reconnected professionally when Amanda and Tyler convened in Nashville to write for other artists, and wisely decided to record the songs themselves. If Jenkins’ characters frequently find themselves attempting to ward off the chill, the Small Town Pistols’ protagonists have been forged by fire. Plucky narrators stumble through the flames and emerge with scars that become badges of honor. The spunky heroine of “Blame It On the Radio” encounters both devastation and salvation in the form of songs radiating over the airwaves. The put-upon lover in the deliciously vintage country number “It’s You” waltzes away from a destructive relationship: “I thought I was crazy/Thought I was a fool/Baby just maybe it’s you,” she drawls. 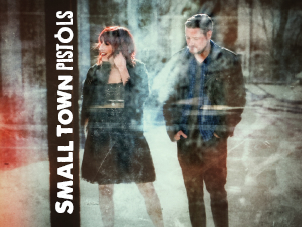 In addition to strong songwriting, Small Town Pistols benefits from the expressive, nuanced vocal performances of Amanda and Tyler. Amanda shines on the contemplative “Peter Pan,” where a woman swears off an immature, commitment-phobic beau. Setting aside illusions of a fairy tale ending, she reflects, “I still love Neverland/But there’s more to a girl than fighting, crowing and flying.” Meanwhile, the sweeping love song “Easy As Breathing” serves as an excellent showcase for Tyler and the duo’s close harmonies. Lovelast frequently explores feelings of regret and disillusion in his work, while Small Town Pistols focus on the healing process. Although they approach the plight of the broken-hearted differently, both acts deserve praise for compelling song craft. There may be several miles between Houston and Trenton, but love and heartache bridge any divide.